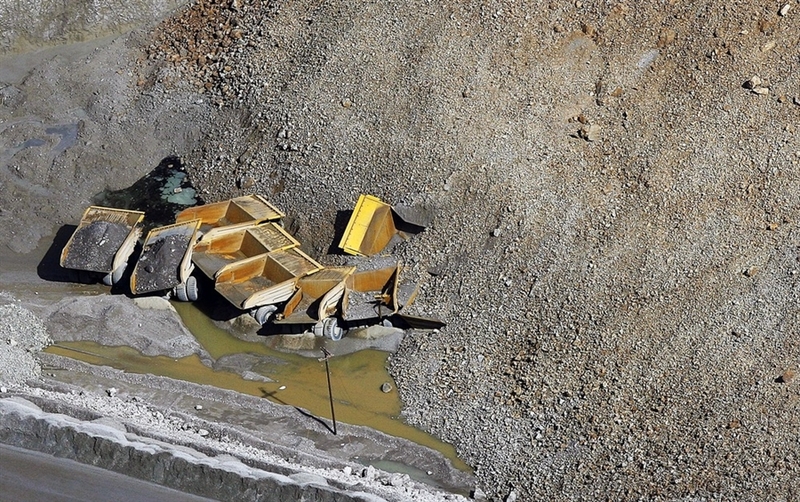 The Kennecott Copper Bingham Canyon Mine sits quiet after a landslide on April 11, 2013, in Bingham Canyon, Utah. 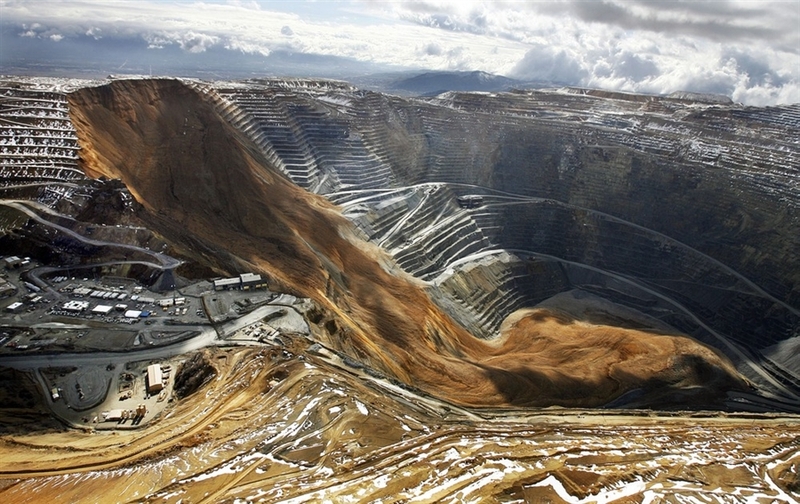 Kennecott has suspended mining inside one of the world’s deepest open pits as geologists assess a landslide the company says it anticipated for months. “We started noticing movement in that part of the mine in February,” Rio Tinto-Kennecott spokesman Kyle Bennett said, indicating at that time the mine’s wall was slipping a fraction of an inch each day.